So there is both a story and journey when it comes to eggs and me. Let's just say that the journey did not really begin on a positive note. As a child (and now) , my sisters and I were primarily vegetarian (out of choice) and our parents had always tried to make us incorporate eggs into our meals to make the meals healthier. But the thing was that along with meat, I was repulsed by eggs. My parents tried everything - omelettes, boiled eggs, scrambled eggs etc. I just really didn't like the smell and taste. But that was just not it, along with the dislike of the smell and taste I was a highly imaginative child, and I would think I was eating baby chicks. All in all - it was not a great scenario. Parallel to this journey of eggs and me, were the massive weekend brunches with my family - this is when my mom would pull out the paranthas (stuffed bread) and we would feast like kings and be hit with afternoon food comas. And it is during these weekend brunches that the narrative of eggs changed in my life. 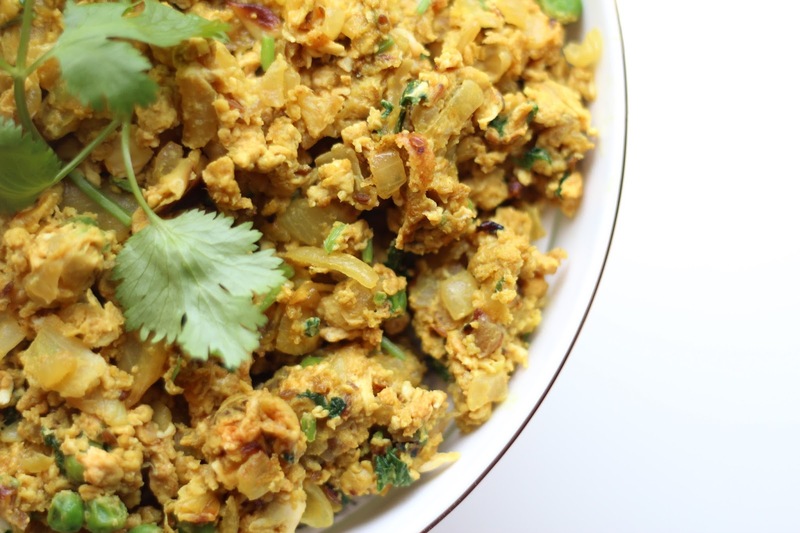 My mother decided to incorporate eggs into our brunches but with her own take on it - scrambled eggs with an Indian twist - making the egg bhurji. It quickly became one egg-based dish that we all enjoyed and didn’t put up much of a fuss over. This is a common dish in north India, in particular Punjab (where both my parents are from). 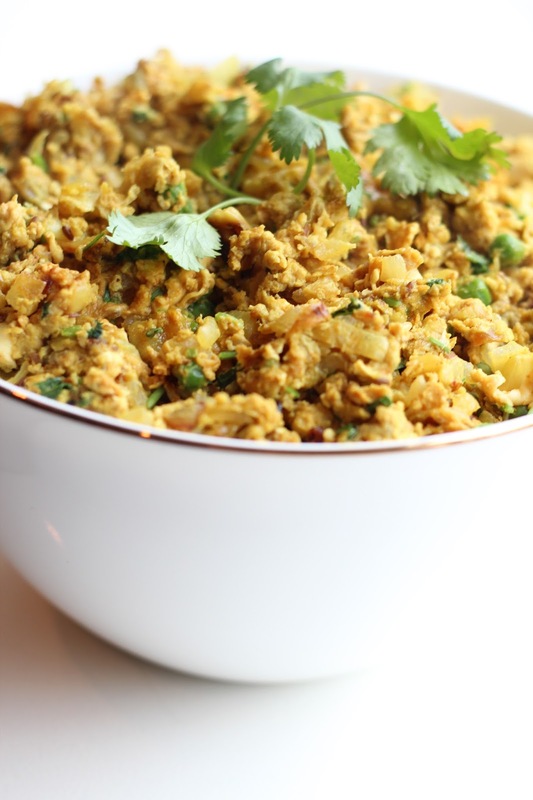 This dish is basically an Indian take on scrambled eggs and is normally consumed with a roti (Indian flat bread) and yogurt (if that’s your thing!). So if you are looking for a new egg recipe, it’s great to give the normal scrambled eggs an Indian twist with this recipe! Now not to keep you in suspense of how this journey continues - let's just say that it's come to a polar opposite occurrence. I now, as an adult, LOVE eggs. In fact my breakfast everyday consists of some form of eggs. I have discovered various different recipes that have different takes on eggs and have really come to enjoy them. And the egg bhurji remains as one of my favourite dishes. 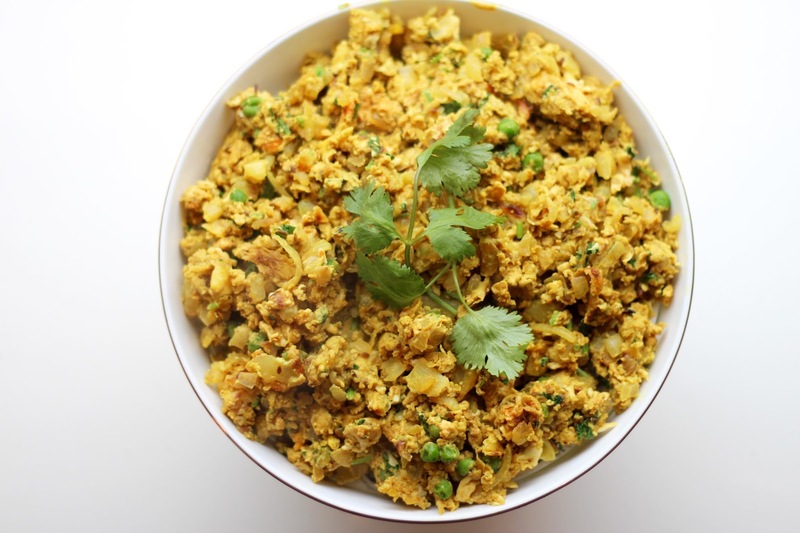 In fact when I lived away as a student for my Masters and I was craving Indian food - I resorted to making egg bhurji since it is super easy to make! As long as you have the spices - this is a great quick egg dish to stir up. 7. Top with fresh cilantro, mix, and serve! I love egg Bhurji, haven't made it in a while. Thanks for sharing your recipe! I have the same story with eggs as you, But I only eat it omelets, but I would love to try yours. omgggg i was the same way with eggs. absolutely hated it but now i love eggs any time of the way, anyway you prepare it. its funny how our preferences change over the years..
Looks so tasty!! 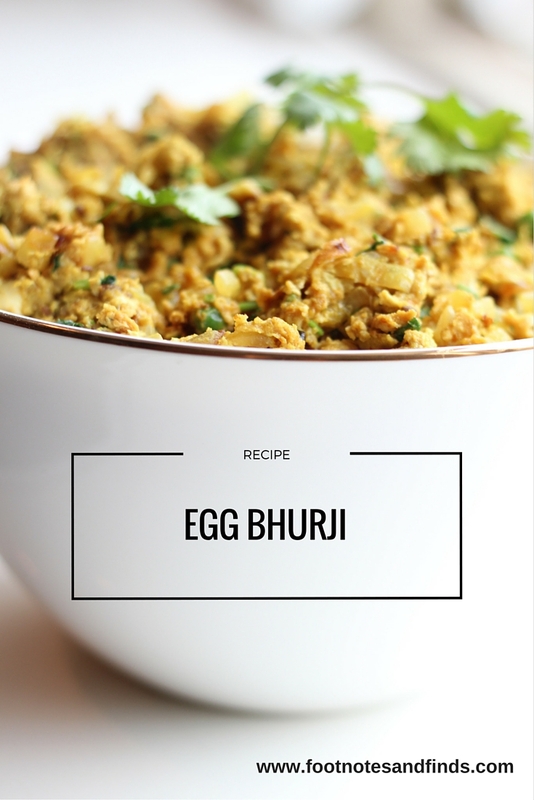 Love egg bhurji!! Thanks for the recipe!! This sounds so good! I'm glad your mom was able to figure out a way to help you get over your dislike of eggs, and that you were able share this awesome recipe with us. Have a great week! I'm glad that as an adult you now enjoy eggs. This recipes looks great! I have pinned it to try later. Oh this looks delicious. All the added spices must make this a flavourful dish. Your photographs are gorgeous! Nice recipe idea, it looks so delicious! This sounds really delish! I always want to spice up my scrambled eggs. I go through major phases with eggs, sometimes eating lots and sometimes none at all! This looks really delicious, I love all the different herbs and spices you used in this as well.